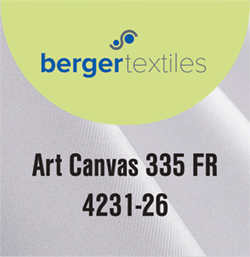 Canvas texture fabric, good opacity, water tight. For art reproduction, wallcoverings, banners. Woven, can be cold cut.